• Apartments are "Church Mouse Quiet"
Discover a warm and welcoming place to call home when you tour our affordable apartment rentals in Schofield, Wisconsin. 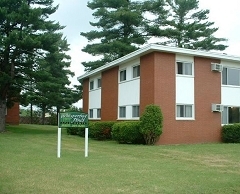 We offer clean, quiet, affordable apartments. This safe low traffic residential neighborhood is minutes from shopping centers & high school. Discover a warm and welcoming place to call home when you tour our affordable apartment rentals in Schofield, Wisconsin. These apartments feature 2 bedrooms with a spacious kitchen and newer Whirlpool appliances. Also features ample off-street parking and air conditioning. Beautiful side by side duplex fireplace, large decks, 3 bedroom.